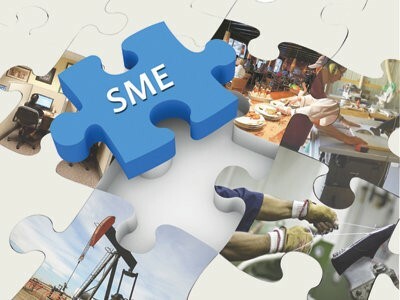 The Small and Medium Enterprises (SMEs) are known for their agility and stretching a rupee to its limit. Across all verticals, stumping most SMEs is the access to markets and funds. Access to markets has hit Indian SMEs the hardest as very few effective sales channels are at their disposal, accentuating their inability to stretch and compete with big marketing budgets. With e-commerce around for several decades now, web as a sales channel held the promise of democratising the market access to small and big enterprises equally, at least in principle. In reality though, SMEs have not been able to exploit e-commerce to its full potential. There are several reasons: Most SMEs in India simply didn’t go online because technology was not easy to understand and people were unaware of the benefits that could accrue. Even today, several manufacturing and services-led SMEs don’t develop websites that opti-mally describe their productline or offer auto mechanisms for le-ad generation. Another big reason was that evolution and inno-vation in technology gradually tilted towards search engine ma-rketing, marked by high budget keyword planning (AdWords). Thankfully, in recent years, new-age startups started to disrupt e-commerce, primarily by reinventing the way the businesses find their customers, bringing new hope and promise for SMEs. In its first generation, e-commerce was all about websites being the primary means of customer interface, business opportunities and transactions. Now, e-commerce has pivoted to models that intimately understand the user through location awareness and aggregator platforms which are ‘most valuable, most nearest’ focused than the size and scale of a company. Speed of fulfilment now scores much higher in the end customer’s wish list and, most importantly, the customer finds the SME through a well-known bigger e-commerce player. With venture money now enabling the new age e-commerce companies, new trends are em-erging; SMEs are being trained as enablers for e-commerce product lines with the right marketing tools, abstract order management, delivery management, understanding customer feedback, and analysing competitive factors that lead to higher sales. SMEs are also beginning to discover the new avatar of e-commerce companies as their business facilitator and partner. It is interesting to note that new age e-commerce startups have gone one step further and understood various issues that impact SMEs such as credit needs of working capital. Business loans without collaterals are now available at the click of a button for deserving SMEs, who have a credit or transaction history that NBFC can verify. This is also improving the discipline among SMEs to keep their books clean, building long term reputation and higher potential to expand through various investment options including equity-based funding. This development is a welcome change and essential in terms of reducing cost of capital that SMEs badly need to sustain and grow. Amidst this euphoric hope of SMEs instantly selling their pro-ducts and services to the world, increase profitability, reduce sales and marketing costs, there are ground realities that SMEs will confront in this journey. Competition will intensify where there’s no differentiation and innovation; in some scenarios, competition will come from across the border where cost parameters can be entirely differe-nt based on local conditions. Th-is likely to drive down margins and markets may be fragmented with sub-optimal operations. Now is the time for SME ecosystem to raise collective capabilities to new levels. It is critical that we have mentors who can handhold the SMEs transitioning from offline world to online. It is also critical that we educate SMEs about ‘just-in-time’ solutions through new and innovative ways of raising capital, and projecting demand in a realistic manner. Most importantly, we need to equip SMEs with the right tools for growth. At a most fundamental level, it’s all about educating SMEs to find uncontested markets, practice lean business models and focus on intelligent lead generation mechanisms through bra-nding and innovative marketing solutions. This will need improving the skills in deploying the ri-ght cloud technology and optimising value chain for providing ultimate value to end customer. With $80 billion as the projected size of e-commerce market in India by 2020 and only 27% of the Indian SMEs who are online using e-commerce, the potential is immense and the timing perfect. I am certain that SMEs will grab this unprecede-nted opportunity to catapult themselves to new levels of success with right support ecosystem.